On Thursday 4th April, our Youth Involvement Network met for their latest meeting. You can find the slides from from this meeting here. The network brings together youth professionals to discuss best practice for meaningful youth involvement, including youth-led decision making and youth leadership. The network will include presentations from London Youth members, open discussion, and an opportunity to learn about further support London Youth offers on developing youth involvement and participation. Leaders in Community is a youth-led charity run by a group of active local young people from Tower Hamlets. services. 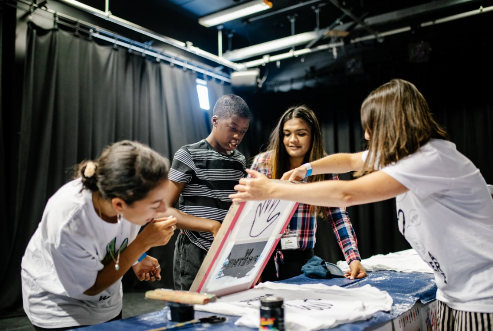 They aim to empower young people in leadership and governance through a variety of free creative learning programmes run throughout the year. Kaitlene spoke about what works in encouraging youth participation, such as having youth workers that young people can relate to. 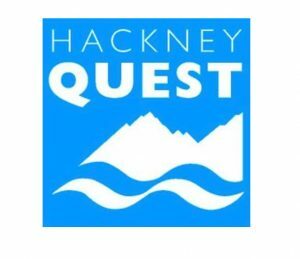 Hackney Quest is a community youth organisation supporting and providing activities to young people and families in the local community in Hackney. They aim to give young people, families and members of the community the practical and emotional support that they need to develop and pursue their aspirations and deal positively with life’s challenges against a backdrop of social and economic disadvantage. At the heart of their work is an amazing and diverse group of staff and adult and youth volunteers. Janita Halsey, Youth Manager, spoke about how their organisation embeds youth participation at the heart of their model, such as using youth volunteering as a way to keep young people engaged as they get older. Janita was joined by David, a young person who’s been involved with Hackney Quest for nine years. Charlotte Smith spoke about the upcoming Young Londoners Fund, the Mayor’s £45 million fund to provide positive opportunities for young people in the capital. Please see here for more information about the next phase of the fund, which opens in May 2019. The GLA are currently designing a good practice toolkit for youth engagement, participation and leadership. They are interested in hearing the views of youth professionals and anybody interested should contact Charlotte Smith. Applications are currently open for London Youth members to our Youth Involvement Seed Fund. Four grants of £400 of project funding with and an additional £200 for supporting costs are available. The grants should aim to improve youth involvement and participation, particularly through developing a youth board, young trustees or other youth-led decision making structures. The deadline is Monday 15th April 2019 and you can find out more here.